Dubai is one of the most advanced business metropolises in the world, yet it is still essentially defined by its traditions. 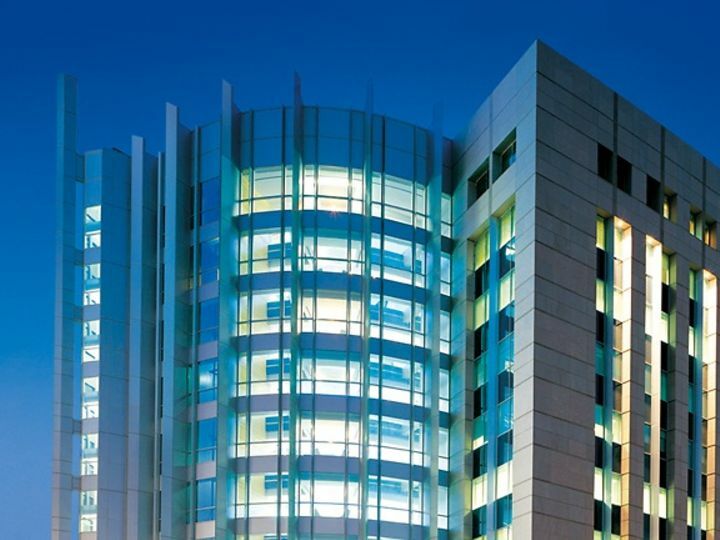 One of the spectacular modern buildings here is the headquarters of the Commercial Bank of Dubai: the curved façade of the fascinating steel and glass combination engenders glittering reflections of the water with constantly changing colours. 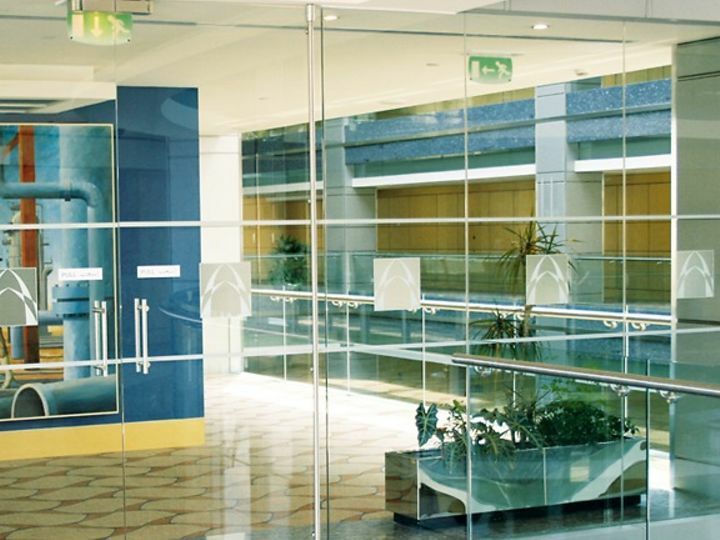 Safety combined with transparency and aesthetic elegance are the major conceptual themes, as also exemplified by a total of over 100 dormakaba MANET door systems - high-quality glass and stainless steel units installed at various levels of the complex. The heavy sliding doors in the reception lobby are synchronised by dormakaba's AL 400 automatic door operators. 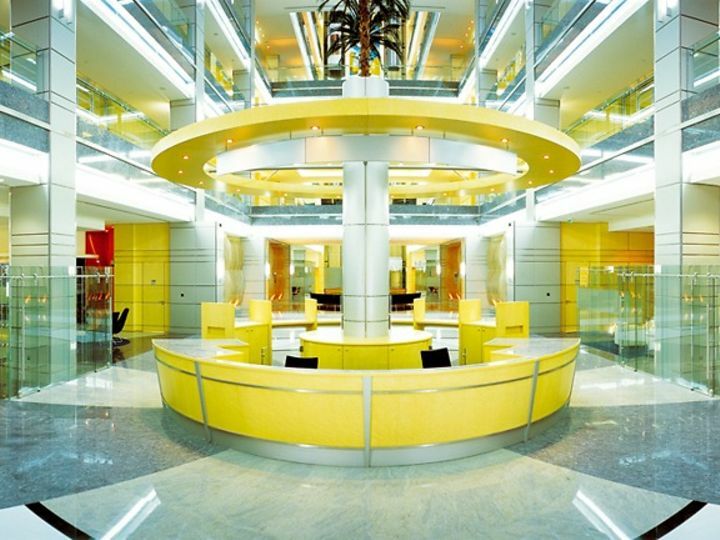 The design was the creation of architects Norr Group Consultants International.